#Smilefearlessly with “Smile Brilliant” At-Home Teeth Whitener! – Travel, Family & Fun rolled into one! #Smilefearlessly with “Smile Brilliant” At-Home Teeth Whitener! Are your teeth as white as you would like them, probably not? Do you #smilefearlessly? If your anything like me then you’ve tried everything from store bought whitening toothpaste, conferring with the dentist about “professional whitening” to “Pinteresting” your own baking soda combinations, epic fail! For some time, I thought the fad Whitestrips worked ok, but they were expensive and annoying to wear, it felt like they played slip & slide on my teeth. The aforementioned whitenings somewhat worked but very slowly over a long period of time. In an era of instant gratification, I wanted a dramatic result, fast! I needed something new that wouldn’t break the bank and something that would strip away the years of stains relatively quickly and keep them off! 2 teeth whitening trays (upper and lower). Take upper and lower dental impressions according to the directions. Easy breezy lemon squeezy. The Smile Brilliant technicians will make your personal dental mold. I’m an avid two-cup a day java drinker and I love acidic foods that unfortunately tinge my tooth-ies. It doesn’t help that wine is my BFF and fruits that contain dyes are some of my faves. Besides the burden of stains, I also have extremely sensitive teeth, yay me. With that being said, I was nervous about the susceptibility to pain. I’m NOT good with pain especially in my mouth, but thankfully, I didn’t have to worry because with @SmileBrilliant there was NONE, absolutely nada! I’m not sure if I should say this but I didn’t even need the desensitizing gel after whitening, Shh! Studies have shown that people with whiter teeth are perceived as socially competent and more successful in their professional and personal lives! After using Smile Brilliant I can honestly say that I will #SMILEFEARLESSLY and hopefully it leads you and me to infinity and beyond! I collaborated with #SmileBrilliant for review purposes only. All thoughts, opinions, and results are my own! What kind of friend would I be if I didn’t give you a chance to win $149 Smile Brilliant credit? Not a very friendly one, if I do say so myself. So give it your best shot and hurry over to Smile Brilliant Giveaway. The giveaway ends soon and the winner will be notified by email, best of luck! Now, I’m no Dawn Downer but If you’re unlucky with the giveaway, I’ll give you a 20% off coupon code for your chance at whiter teeth right from home! 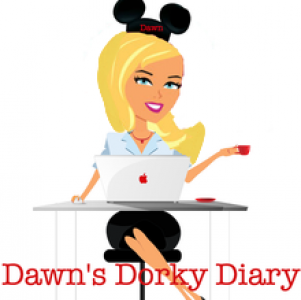 Just type in this coupon code dorkydiary20 and save 20% immediately! Happy whitening, quick as lightning! Previous Post Happy 48th Anniversary Daddy & Mama! Next Post Disney’s Polynesian Village “Club Level” Resort Review!